"Make Your Own Last Will & Testament" will guide you through the process of making a valid Last Will and Testament. It contains all the forms that you will need to make a valid legal Will simply and easily. This Online Will will take you step-by-step through the process of creating your very own Last Will, enabling you to avoid the uncertainty and costs of intestacy, determine who receives your assets, provide for the management of assets gifted to minors, appoint guardians to care for your minor children, reduce expenses and more. This book introduces you to Living Wills, the medical procedures they cover, what you need to consider when making them and more. It also contains all the forms you need to make your own Living Will. A complete introduction to estate planning! This book will show you the importance of having Wills, Living Trusts and Powers of Attorney and teach you about probate, taxes, providing for children and more. 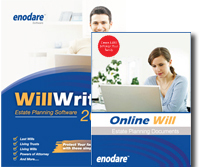 This comprehensive kit will show you how to amend your last will and testament effortlessly. You will be guided step-by-step through the process and shown multiple examples of changes before finally completing your codicil. If you don't make a Last Will, state intestacy laws will determine who receives your assets after you die. State laws set out requirements for executing Wills. If they are not followed, your Will may be worthless. Let doctors know now what medical treatments you want in case you cannot later convey your wishes. Do you want to have someone make healhcare decisions for you if you are unable to do so yourself? Read how. and you'll receive an instant bonus - our free will guide entitled "Avoid The 21 Most Common Mistakes Made with Wills! - just for signing up!! a Lawyer in Your Area.